A Fine Day for a Parade? I’ve been part of a unicycle club for about 5 years now. When we were first getting started in 2009 none of us knew what the club would look like. Many non-unicyclists who we discussed unicycles with noted that it would be fun for kids and wondered if we would be juggling too. While it’s true that we’ve had kids learn to ride with us, and we’ve had a couple of people give juggling a try- those are the exceptions, not the norm for what typically goes on with us. What is typical for us is well more than 50% of our learners have been adults- many without children. 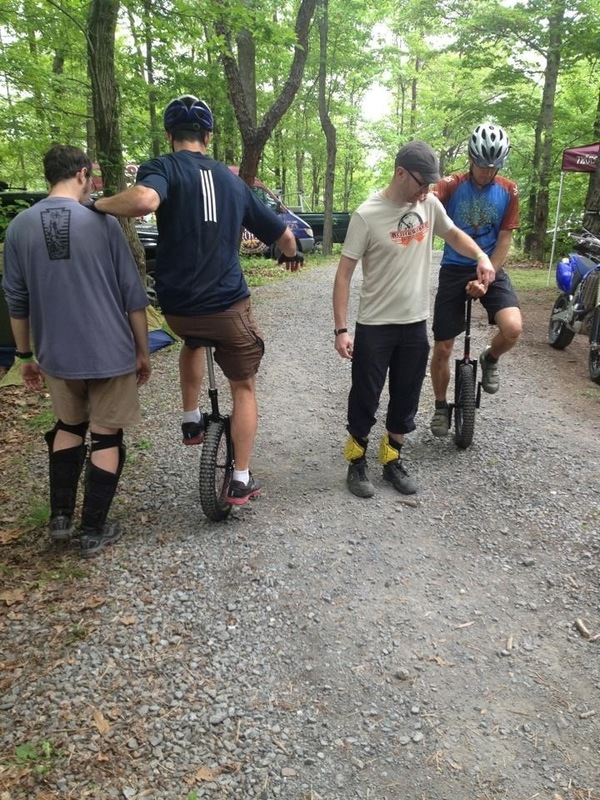 Many of our riders don’t seek to perform on their unicycles, they’re just looking to have fun and get some exercise. 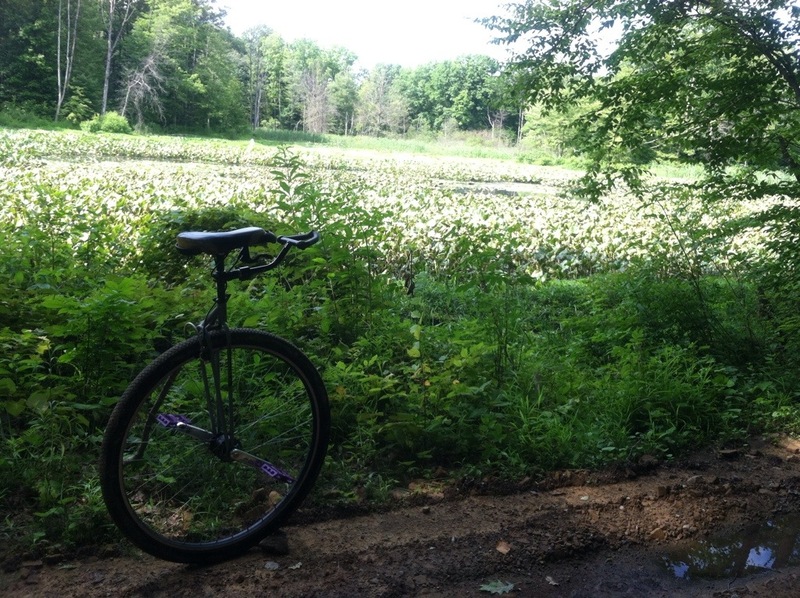 Many of them ride their unicycles in what would once have been considered non-traditional unicycling environments- i.e. outside on bike paths, roads, and trails. There is nothing wrong at all with doing things in what is considered a traditional pattern if it works. For us though, it hasn’t. One of the big areas people expect to see unicycling in public is in parades. Sure, our club does 3 parades a year- mainly because they show our support for our sponsors. We’ve been approached about doing many more parades. If someone wants to get people organized to do them, I may attend, but I don’t have an interest in doing any more. We’ve heard it said, even among some of our members, that parades are a good way to attract new riders. For some clubs, that’s definitely true. For us, not so much. At this point, we’ve had over 100 people learn to ride with us over the past 5 years (I think that’s actually a low estimate). 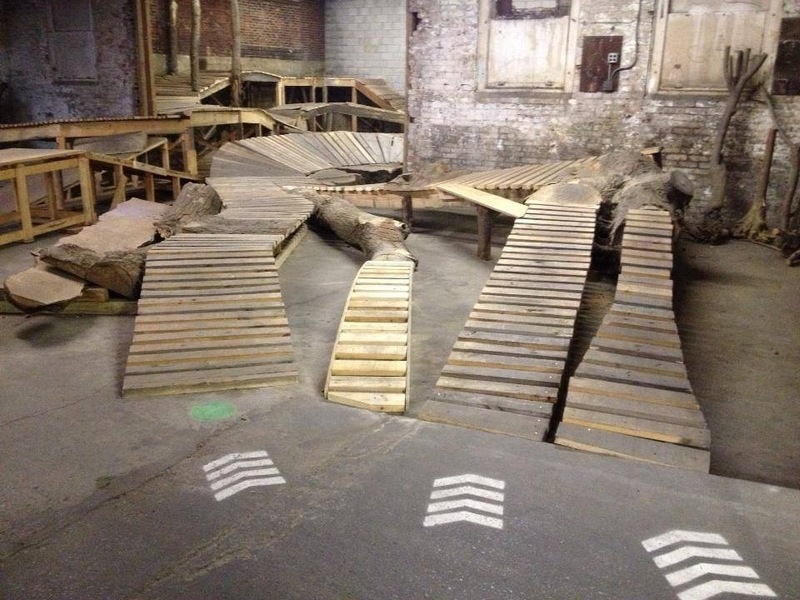 We typically have at least 3 (and as sometimes as many as 12 or 13) people learning with us at the YMCA that are still working on riding without support. I can’t recall anyone who has joined us because they saw us in a parade. On the other hand, we’ve had multiple people join us because they saw us riding on the road, bike path, or through the woods. We’ve had many of those people discover the fun of riding and unicycle and then invite their friends. Or the beauty pageant princesses. Or the fire trucks. Seriously, what boy hasn’t wanted to drive the fire truck? Imagine the traffic problems we’d have if everybody who wanted to drive the fire truck did- on a daily basis! When many people watch a parade with unicycles, they lump unicycling into the “Things that are cool, but I can’t do” category. 2. Parades are special occasions. The things in parades are for special occasions (except for the fire trucks). Floats don’t cruise main street at 2:30 on just any random Tuesday. Unicycles get pigeon-holed into special occasion vehicles for performance. 3. There’s so much going on in a parade, you’re just another spectacle to beheld for the next minute or two. Sure, you can hand someone a flyer about trying unicycling, but it’s most likely to end up in the trash can, or worse yet, on the ground at the end of the parade. You’ll be forgotten about until the next parade. We see unicycles first as cycles, then as unicycles. We’re a subset of what gets pedaled. This perspective has worked for us. We’re not looking to be separate. We think unicycles are fun for everyone and they can be enjoyed most anywhere anything else with pedals can be. So while we don’t do many parades, and our club demographic is somewhat “non-traditional” as far as unicycling clubs go, we’re not against other clubs’ methods. The way we see it is the more people riding unicycles, the better it is for all of us who do. If after reading all of this you’re interest is piqued, and you’d like to further check out unicycling with us, click on over to www.butlerwobble.com . Just don’t ask me to pop a wheelie. It’s that end of year time. I found one of my favorite pictures of 2013 just a few minutes ago. It’s of George and James. It was taken last July at NAUCC 2013. NAUCC is a (difficult to get straight) acronym for: North American Unicycling Convention and Championships. The pic on Facebook was titled “Marathon”, and that it was- 26+ miles on one wheel each. What event the picture was from is irrelevant when compared to who the riders are. George and James went from strangers from 1/2 way around the world from each other (George is from Australia and James is from a bit south of here), to friends sharing virtual high 5’s and looking forward to meeting again in 2014. In Montreal for Unicon 17. I look forward to getting in on those high 5’s. And they won’t be virtual.